Montreal, December 2011 - Dorel Distribution Canada is issuing a voluntary public notice to repair the Safety 1st Two-way jogging stroller model numbers 01-555CYB and 01-555CSBC. 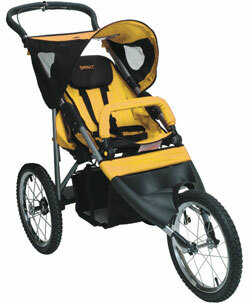 The Safety 1st two way jogging stroller comes in either yellow or blue with black tubing and has the option to allow the child to face the caregiver when in use. The model number and date code are located on a sewn in label inside the stroller basket. If the child is placed in the stroller facing the caregiver, the child's leg can become caught between the rear wheel and the stroller frame which may cause a fracture. Although these strollers have not been sold since 2005, Dorel Distribution Canada is aware of 2 recent incidents involving these older units. Only Strollers manufactured prior to 2005 are affected. Consumers should immediately contact Dorel Distribution Canada at 800-544-1108 between 8 a.m. to 6 p.m. Monday through Thursday, 8 a.m. to 4:30 p.m. Friday or you may email us at [email protected] to receive a free repair kit. 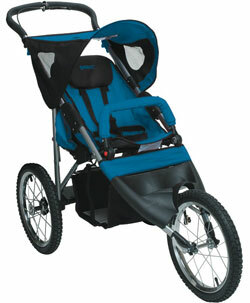 Until consumers obtain and install the repair kit, the stroller should only be used with the child facing forward. Consumers should not return the product to retail stores.